Walking track Rocky Knob and Pine Mountain. Burrowa-Pine NP. 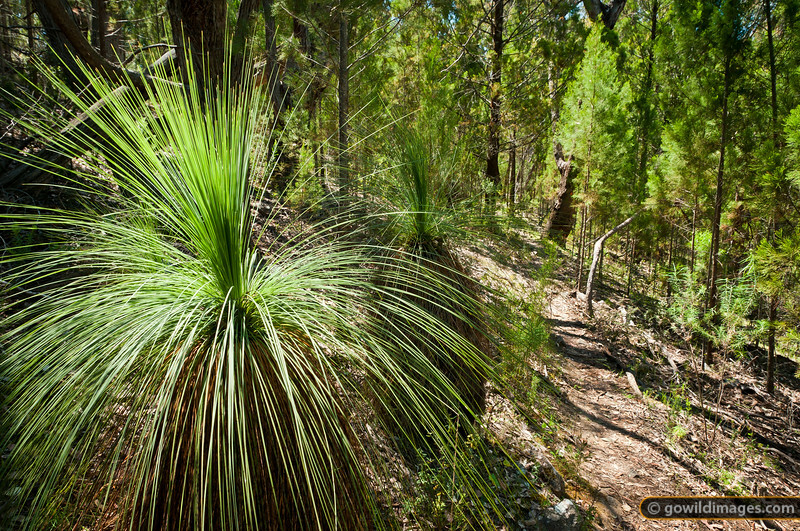 Australian Grass Tree (Kangaroo Tail) and Black Cypress Pine line the path.